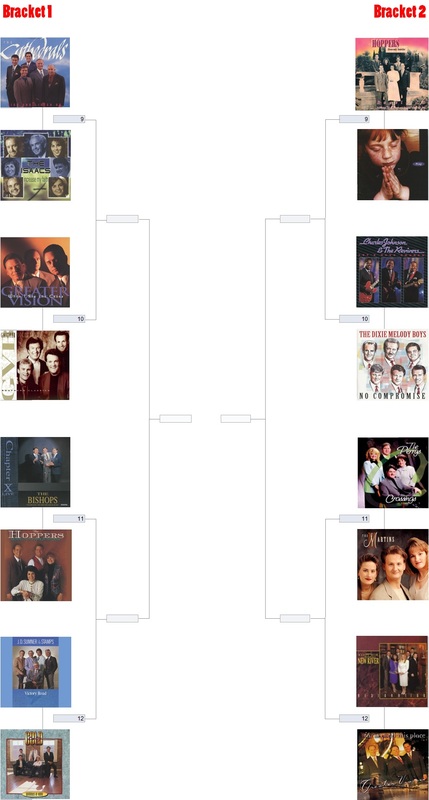 Today brings bracket 4 in round one voting of the March madness competition. Each reader is allowed ONE VOTE PER DAY. Polls for bracket 4 will close Sunday (03/17/19). Be sure to remember brackets 1,2 and 3 as you are allowed one vote per day. Officially half way through the 2018 NQC. 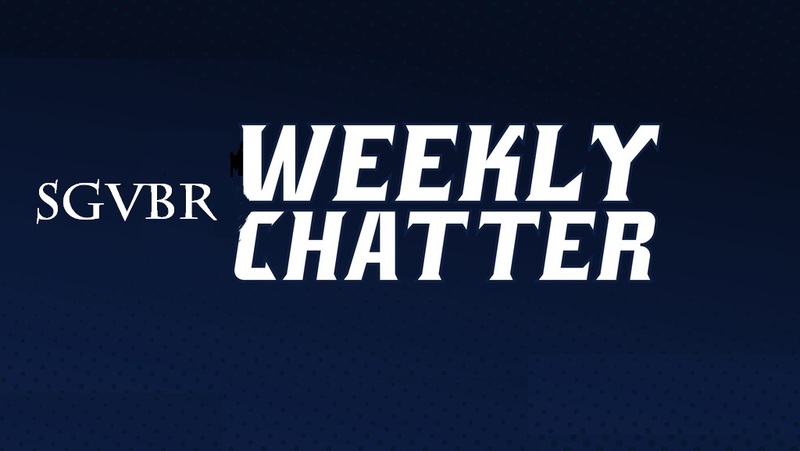 Here are highlights from Wednesday night’s program. ‘Live’ music reigned supreme with artists like High Road, the Isaacs and Jason Crabb. Congrats to High Road on winning new artist of the year. The professionalism of the Blackwood Brothers was evident when they sang “I Sing The Mighty Power Of God” a cappella, when the track decided not to work. Good to see Southern Gospel songwriter, Lee Black playing piano for several groups this evening. Always good to hear the Mylon Hayes Family sing each note to perfection when performing from the red back hymnal. Triumphant put a set together that proved why they are at the top of their game and deserving of artist of the year. Does anyone know who did the Christian lyric rewrite of “Hallelujah”? The young kids from both Children Of The Promise and the Chitans can evermore sing! I heard the Singing News fan awards mirrored last year, which mirrored the year before that. Snooze. I forgot to mention last night that it was told from the stage there were more individuals watching via webcast than in attendance. That is not positive for the future growth of the NQC. Every year Scott Fowler, every year. Ugh. The 2017 edition of the National Quartet Convention has wrapped. The final night brought some good memories. Here are the hits and misses. The reunion segments were all noteworthy this evening. Great to see both Tim Riley and Jay Parrack during the Gold City reunion. The Perrys line-up of 30 years ago started their reunion segment. I remember seeing the group for the first time during this era. The Nelons segment honoring Rex Nelon was also strong. Going through many of the group’s early signature songs was awesome! Outside the reunion segments, the Isaacs had a strong set. 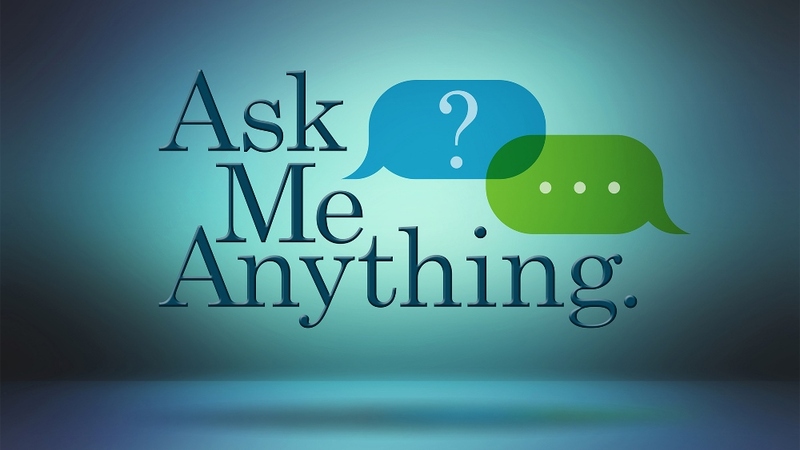 Everything from the Hebrew song to the rousing “He Ain’t Never Done Me Nothing But Good”. The Kingdom Heirs proved at the end of the night that you don’t need tracks. It would be nice to hear more of that in Southern Gospel music. Since it was the end of the week, listeners were treated to a bunch of recycled songs that had already been performed during the week. I don’t know if anyone else did, but there were webcast issues all evening. it would freeze, then crash and freeze again and I guarantee you it wasn’t my internet connection. You think they would have chosen a closing song that all the artists on stage, knew. 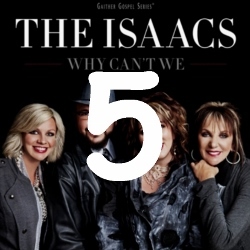 Why Can’t We (2011) – Isaacs (Gaither Music): “Hallelujah Turnpike“; “Waiting In The Water“; “Four Men Walkin’ Around“; “Why Can’t We“; “God Still Has A Plan“; “You Can’t Take My Joy“; “Why“; “I Still Trust You“; “He Knows All About It“; “Get On Board“; “That Is Why I Sing“; “I’m Gonna Love You Through It“; “I Believe In A Hill Called Mount Calvary“. Faith To Believe (2008) – Mike and Kelly Bowling (Canaan): “Your Cries Have Awoken The Master“; “It’s Alright“; “I’ve Never Walked Alone“; “God’s Not Through With You“; “Oh How Sweet Is The Victory“; “Notified“; “A Miracle Today“; “I Never Shall Forget The Day“; “I Have Faith“; “The Only One“; “Keep Breathing“; “We Have A Savior“. 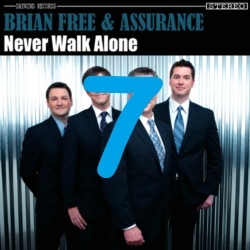 Never Walk Alone (2010) – Brian Free and Assurance (Daywind): “Anything Is Possible“; “I Believe“; “God Will Close The Door“; “The Part Where You Come In“; “Remind Me Of The Cross“; “It’s My Life“; “Turn The Page“; “Stand Among The Millions“; “It’s Gotta Be God“; “Never Walk Alone“. DID YOU KNOW? : James McFall penned the Southern Gospel classic, “Thank God I’m Free”. Did you know, his children traveled in the early 1990’s as the McFalls. The group introduced another of James’ hits, “I Still Trust You”. The McFalls had a top 40 hit with the song. It would later be recorded by the Dunaways and Isaacs.